The pdf links above are to material on the Berkshire OC website. The above classification is a bit rough and ready and tips for beginners may continue to apply for those further up the ladder, for example. Richard's articles were not intended to be exhaustive. In particular, if anyone has any tips to provide, please submit them to the webmaster. A few articles from external sources have already been added above to compliment Richard's offering. Some subjects have not been covered in any great depth yet, in particular the skills required for the most junior courses, White and Yellow. The QuOnicle club magazine archive also features occasional training articles, other than Richard's. You can either learn from your own mistakes...or from mine! I've made a lot of navigational errors while writing this series of articles. So I'm wondering whether I should be writing this column or reading it. Though maybe its easier to learn from someone who knows what they get wrong? 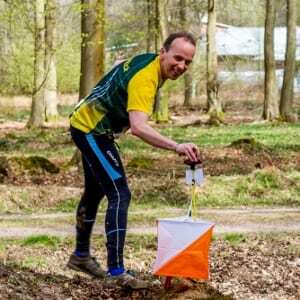 I hope this helps improve your orienteering skills and in turn increases your enjoyment. It is frustrating when your run is affected by mistakes, but very satisfying to complete a course without error.